How-To Post: Secret to removing toilet bowl stains! 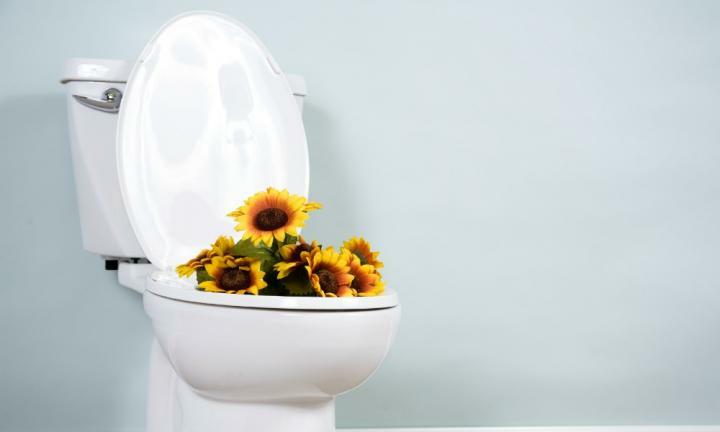 Home » Blog » How-To Post: Secret to removing toilet bowl stains! 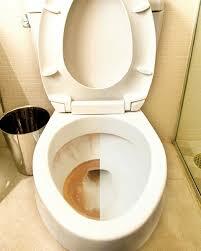 Are you tired of looking at ugly brown or white scum stains in your toilet bowl? Well if you weren’t you definitely wouldn’t be here! In this how-to blog post we reveal the most effective (and easy) way to remove these hard water stains from your toilet bowl quick smart. What makes these stains so difficult to remove is that they are actually made up of multiple hardened mineral deposits which are left behind from flushed water – including lime, silica and calcium. As these spots harden, they become harder to remove. To effectively remove these stains and get your toilet bowl looking brand new again, the number 1 household cleaning ingredient to use is Cleaning Vinegar. Cleaning Vinegar has a higher acidity rate (6%) than cooking vinegar (4-5%) which makes for perfect toilet bowl cleaning. If you don’t have access to cleaning vinegar, regular white vinegar does work as well – although the process might be longer. As well as the cleaning vinegar, you will also need; a plunger, brush and a towel. For stains under the rim of the toilet bowl – wet some toilet paper with the cleaning vinegar, and stick it onto the rim. Flush the toilet – and you’re done! Now that the toilet bowl is looking brand new, to maintain this look – ensure you brush the bowl at least once or twice a week so that the minerals left behind do not have time to harden into stains.